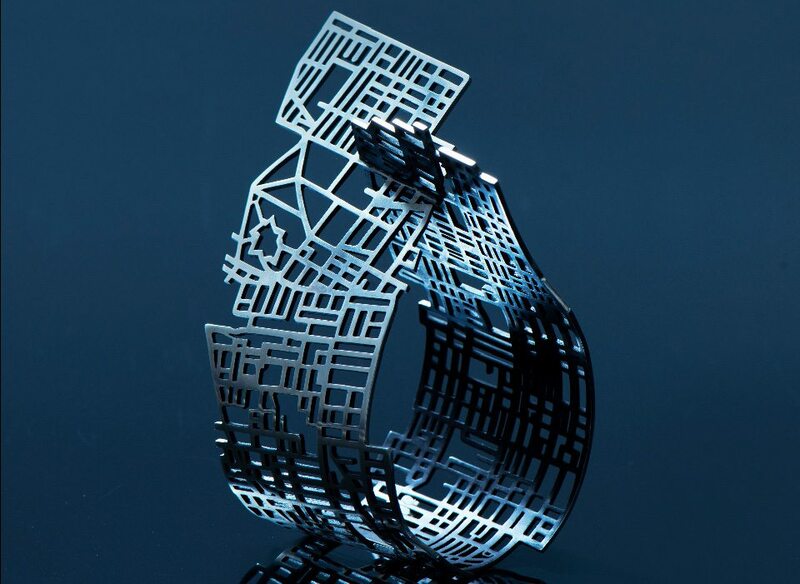 “Interlaced Toronto/Halifax” — this structured jewellery by Anna Lindsay MacDonald explores the grid-like quality of busy cities, transforming images of imposing urban sprawl into intricate objects of adornment. With degrees from the School of the Art Institute of Chicago and the Nova Scotia College of Art and Design, as well as accolades from exhibits in Australia and a stint teaching in China, MacDonald was inspired to create Interlaced Toronto/Halifax during her three-year residency at Toronto’s Harbourfront Centre. Now that the artist/jeweller is living in Ottawa, we can’t wait to see how her new home influences her striking statement pieces. $1,500. L.A. Pai Gallery, 13 Murray St., 613-241-2767.